We have moved. The new location is better, brighter, bigger; and offer more space and facilities for students. The new address is Shop 388D in Marina Square East, and is just on the opposite end of the same floor. Come to see us soon! Beginning in November 2001, our Centre will extend its hours every Thursday from 4:30 - 6:00pm. Existing students and their parents who find this time more convenient should contact the Centre and request for a transfer. The Kumon-one centre now offers Math classes. Students will be able to take both Math and English classes in the same centre, under the same instructor. More convenient for the parents and more consistent coaching for the students. Register your interest by clicking here! 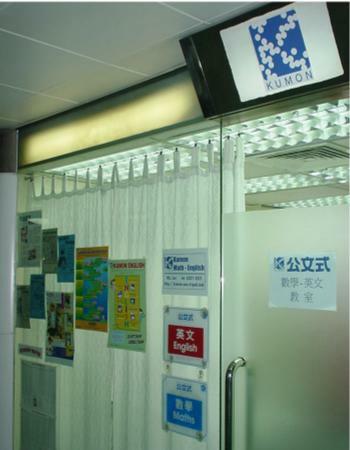 Kumon-one Marina Square East, located on the 3rd floor, Rm 308 was opened in Dec 2000 to bring service to the South Horizons areas students. The Centre currently offers English classes.